A specialized Heart Team is a group of qualified healthcare professionals who collaborate to determine the best treatment plan for each individual patient. 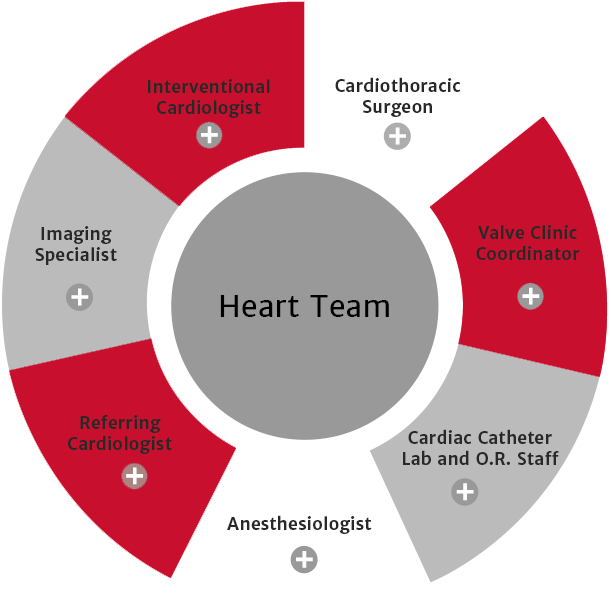 A specialized Heart Team is founded on a multidisciplinary approach to patient selection, leveraging the expertise of the patient’s Cardiologist, Interventional Cardiologists, Cardiac Surgeons, Valve Clinic Coordinator, Imaging Specialists, Anesthesiologists, and Cardiac Catheter Lab and O.R. Staff. A specialized Heart Team may ask for additional testing to help determine the most appropriate treatment option for each patient. Specializes in catheter-based heart procedures and will work with the cardiothoracic surgeon to determine the right candidates for TAVR. The Valve Clinic Coordinator (VCC) facilitates each step in the TAVR process and supports patients during this challenging time. The coordinator serves as the primary point of contact to help patients and caregivers navigate the care process from the time of referral through follow-up care, and ensures streamlined communication among a specialized Heart Team, the patient and the referring physician(s). The cardiologist will most likely be the first specialist you are referred to after a visit with the primary care physician. The cardiologist will confirm the diagnosis of severe aortic stenosis (SAS). If aortic valve replacement is required, you may be referred to a specialized Heart Team. Imaging specialist conducts procedures that aim to provide the most accurate view of heart valves from diagnosis to post‑procedure. The CATH Lab and O.R. staff assist before, during and after the TAVR procedure. 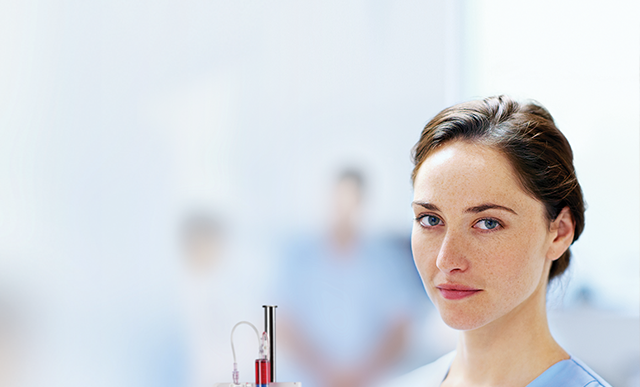 The anesthesiologist will work to provide safe sedation during the procedure as well as provide post‑procedure care. With the partnership of the interventional cardiologist, the cardiothoracic surgeon will determine which patients may be considered candidates for TAVR. For certain TAVR procedures, the surgeon will take the lead on the TAVR procedure. Get an in-depth understanding of the collaborative process between community physician and institution that defines a successful referral relationship among healthcare professionals. Enter a ZIP Code, city or state or part of a TAVR hospital name to locate a TAVR hospital near you (US Only).